Raise Your Response Rate – And Your Reputation. For Your Reputation And Your Response Rate, Organically Built Lists Are A Win-Win. Most marketers accept the fact that purchasing lists or using “public” lists are bad ideas. In addition to possible violations of CAN-SPAM, there is the risk of negatively impacting the reputation of both the sender and the brand. 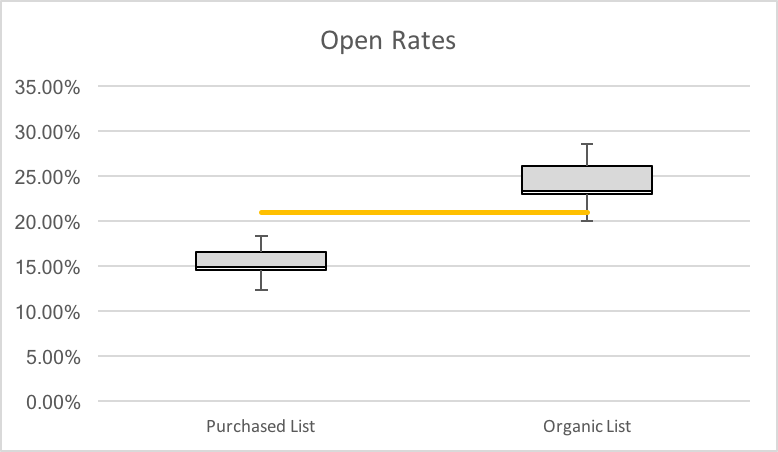 But there’s another reason to migrate away from generic lists to organically built lists: Organic lists perform better. Recently, Red House created a drip email campaign for a B2B client using two different lists: One list consisted of leads that were previously unengaged with inbound tactics, while the other was a compilation of leads from a tradeshow and webinar. The emails received by both lists were identical – but the results were not. The organically built list achieved open and click-through rates that were as much as 150% higher than the other list. It’s only logical to assume that people who are engaged with your brand on some level will respond at a higher rate than those who are not. But the reasons for the difference in response rates go beyond that. Simply put, organically built and maintained lists are more accurate. Public, purchased or outdated lists have higher incidents of bounce backs. For example, CEOs currently have a turnover rate of 18%. So, if a list hasn’t been actively updated in a year or two, 18-36% of the CEOs you’re trying to reach simply are no longer there. And if your audience isn’t there, your response rates go down. 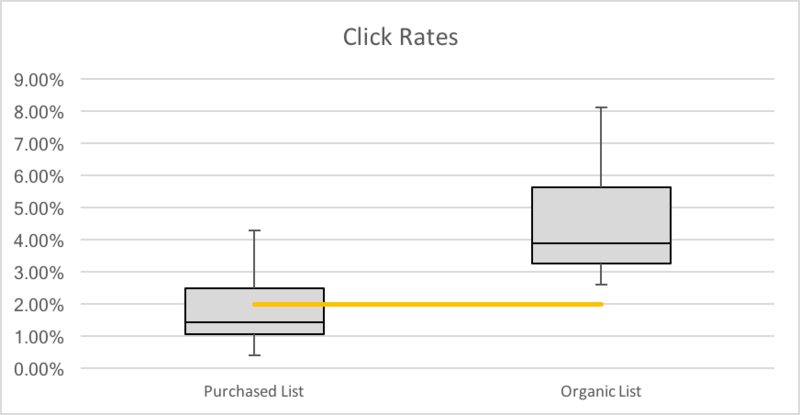 Data from MailChimp illustrates that purchased, public or outdated lists have a dramatically lower open and click-through rate than organically built lists. But, just as significantly, they have an unsubscribe and complaint rate that is alarmingly higher. These metrics – unsubscribe and complaint – go beyond low response rates and actually move prospects toward a negative, rather than neutral, interaction with your brand. Technical Reputation: High bounce, unsubscribe and complaint rates will hurt your IP reputation and can lead to emails from your IP being blocked. Professional Reputation: The perception that you are a spammer or engage in uninvited emailing can hurt your reputation among your pool of prospects. To protect their brand and boost response rates, companies that currently rely on purchased, public or outdated lists should immediately adopt a strategy to transition toward organically grown lists. It May Sound Hard. But it’s Easier than You Think. Like building a brand or building a reputation, building a list requires effort and commitment. It also requires a comprehensive inbound strategy and channeling inbound prospects into an organized, strategic outbound email marketing plan. While it sounds like a daunting task, your resources may be more numerous than you think. And most importantly, you are not alone. If you’re interested in organically growing your prospect list, contact us at consulting@redhouseb2b.com to discuss the strategies we’ve found effective. Red House Consulting helps clients develop plans that will reach their near- and long-term goals. Learn more here.